I was perusing my posts from the last year, trying to decide if I really feel like making a "best of" list this year and being hard on myself for all the books I didn't read and review, when I discovered this post: Children's Publishers Choose Their Favorite Reads of 2014 at Publishers Weekly. I remember being deeply impressed last year when I read it because, having worked for a literary agent, I know how much time everyone involved in the industry - from editors to publicists to agents to booksellers - spends reading just as a work requirement. To think that these people had the time to read a non-work related/required book for pleasure meant that it really must be worth checking out. As I read more of my post from last year, I realized, with sadness, that I did not read and review the one book of the group that I said I would, Andrew Smith's Grasshopper Jungle. And another one of his books makes the list this year! One thing I have to admit to myself, just as I have been craving a really juicy one, is that I don't read YA books as much as I used to. I think it's in part due to being an elementary school librarian and also trying to increase the number of middle grade novels I read and review in a year. Not working in a bookstore, I have definitely lost touch with the world of YA. That said, one of the books on this list DID catch my eye and it, along with a few others (see covers below) are currently in a shopping cart awaiting checkout. Before you read why everyone else loved these books, here are the reasons why I am spending a portion of my diminutive librarian's salary to add these books to my own shelves. Despite not reading them as much as I used to, I still love a good YA novel and this book made the list TWICE!! Recommended by editors at two houses I respect (Candlewick and Houghton Mifflin Harcourt), read in almost one sitting by one of them and compared to two of my favorite YA authors (who also coauthored one of my favorite YA books, Will Grayson, Will Grayson, which I really should review here), John Green and David Levithan (who is also an editor for Scholastic and recommended the book that I intended to read from last year's list) this has got to me just what I am in the mood for! This book was recommended by Elise Howard, an editor I admire and have heard speak. After decades at bigger houses, Howard left to head up and start up Algonquin Young Readers and she has impeccable taste. Also, the description of it and the subject matter of OCD and mental illness sound compelling and well handled. 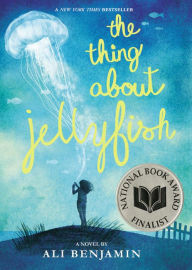 Even after this book became a National Book Award Finalist, the fact that it began with the accidental drowning of the main character's best friend turned me off. I know that tragedy and hardship make for phenomenal stories that often win Newbery Awards and Honors, but these books still bum me out. However, when they are good, they also lift me up. Stephanie Lurie is an editor I admire and she starts her review off talking about one of my favorite all-time books read as a kid (and one I really need to reread and review here) and then listing (aspiring middle grade authors TAKE NOTE) the 5 elements that she loves in a middle grade novel!!! This is the only picture book from the list I plan to buy, and probably the ONLY picture book I will purchase for myself this year. My shelves are bursting with picture books and I have to think very, very hard before buying one. These are the three reasons why I am buying this book: 1) the reviewer discovered this book while at a book festival in France. 2) European picture books are really amazing and interestingly different from those published here. 3) The American publisher of this book is Enchanted Lion Books THE foremost publisher of picture books in translation. As with last year, please find links to my reviews, when available. The book that has stayed with me most in 2015 is a YA novel that got away some months earlier. 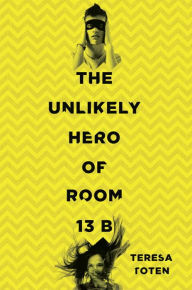 I read The Unlikely Hero of Room 13B by Teresa Toten as it was winning Canada’s Governor General’s Award and was just being submitted in the U.S. It ultimately found its home at Delacorte, but I read it again on publication and loved it all over again for its completely believable, intelligent, troubled, complex, charming characters; for its authentic depiction of the complicated and hard to untangle effects of mental illness on individuals, families, and relationships; for making me believe in its dilemmas (what is the right thing to do when all the love you feel for someone may not be enough to keep you from holding that person back? ); and for walking the edge of emotional disaster without jumping the shark. I have been so glad to see it get many accolades, and I’d love for even more readers to discover it. 100 Sideways Miles by Andrew Smith was a completely random purchase for me. I saw it at my local bookstore and thought “What the heck is that horse doing?” and immediately decided to buy it. And boy, am I glad I did. The quirky characters and hilariously inappropriate dialogue are right up my alley, and I fell in love with the idea of seeing the world through miles instead of minutes. Something about it struck a chord with me, and it’s made me a huge Andrew Smith fan ever since. I was shopping at Oblong Books in Millerton, N.Y., and noticed Shh! We Have a Plan by Chris Haughton, because the art reminded me of a favorite illustrator from my childhood, Tomi Ungerer. Shh! We Have a Plan is a delightful look at how the best-laid plans often don’t work out, and how the smallest and least experienced member of the group is sometimes the wisest. And even when things don’t go to plan and they end up briefly running for their lives, hope springs eternal and soon they are all ready for another challenge. It’s a great reminder for anyone who needs a boost, and I love to give picture books to my fellow grownups. 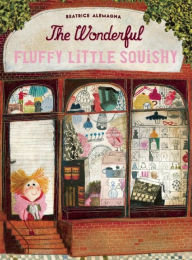 My favorite book of 2015 was The Wonderful Fluffy Little Squishy by Beatrice Alemagna. I was introduced to it last year in Paris while attending the Salon du Livre et de la Presse Jeunesse with illustrator Elise Gravel, when she handed it to me, saying, “It uses the most wonderful shocking pink!” The pink was the little girl’s jacket as well as the little animal featured in the book – in which a funny little girl walks around town looking for the perfect gift for her mother, entering many an old shop (bringing to mind images of Tomi Ungerer’s work). Finally she spots the perfect gift – a fluffy squishy bright pink creature resembling a poodle. Now she has the perfect and very useful gift, but first she must lose him and recover him in a fountain before she can bring him home! I love the book because Beatrice fills the pages with the most wonderful, odd, funny-looking people in a way I believe children really do see things. It’s a book that feels alive, funny, and poignant at the same time – and above all, unique. A few months ago I began noticing starred reviews popping up for a book called The Hired Girl by Newbery Medalist Laura Amy Schlitz. When PWcompared the main character to Anne Shirley, a childhood favorite of mine, I knew I had to get my hands on it. The comparison could not have been more fitting. From the opening pages, readers are transported back in time through the first-person narration of Joan’s diary to early 20th-century America, where life was a little simpler but no less full of emotion, tragedy, and triumph for its romantically inclined heroine. Amid some of the darker topics explored in today’s YA, The Hired Girl was a breath of fresh air that felt so wholly new while somehow fitting right in with classics like Little Women and yes, Anne of Green Gables. It’s a wonderful gem of a novel that made me laugh, cry, and remember the books that first inspired my love of children’s literature. I have not stopped recommending it to friends and colleagues since. A bookseller friend recommended Pool by JiHyeon Lee at the height of summer, when I was using my summer Fridays to swim as much as I could. She put it in my hands and I bought it for the cover alone. I love the idea of the pool as a completely different world and an imaginative space. The gentle illustrations were just right and perfectly evocative of summer afternoons spent underwater. My favorite children’s book this year is The 13 Clocks by James Thurber, sent to me by a good friend. Filled with the classic tropes of a hero, a princess, and the forces of good and evil magic, the imaginative fantasy story reads in such a wonderfully consuming way that it pulls you straight into its stunning colorfully illustrated pages, making you feel childlike and young again, despite whatever age you may be. I adored every moment of The Bear Report by Thyra Heder. It’s a truly gorgeous book, full of elegant watercolors: fantastic blues and inviting shades of grays and whites. Thyra’s stories have such imagination, wit, and bountiful creativity. The Bear Report is no different, and brings Thyra’s bright and imaginative art from Fraidyzoo to a whole new level. More picture books from Thyra Heder to inspire enthusiastic children, please! The best book I read in 2015 was A Tree Grows in Brooklyn, my favorite book as a tween and one long, long overdue for a re-read. Every paragraph was like a visit from an old friend. Betty Smith’s beautiful and beautifully observed writing is so heartbreaking, so true. Young Frances Katherine Nolan’s early 20th-century Brooklyn home and neighborhood comes alive on the page. It is a time and place both innocent and vulgar, full of fierce love and crushing cruelty. The intricate customs and traditions of the tenement culture are presented with affection and honesty, as are the Nolan family’s struggles with poverty and alcoholism. The reader grows up with Francie through the course of the book, and comes to see her world through grown-up eyes. I recommended A Tree Grows in Brooklyn to Chronicle’s Classic YA Book Club after we read Harriet the Spy. I loved re-reading Harriet, and it reminded me that I wanted to spend time with Francie again, a girl growing up in a very different New York. Some of the club members had read it, some had not. All loved it. I fell in love with The Hueys in the New Sweater by Oliver Jeffers this year. I came across it in the “specially recommended” section of my local independent bookstore, The Book Table in Oak Park, Illinois. It was facing out and the funny title, the two-color simplicity of the cover, and the adorable but not overly sweet jelly bean-like Hueys immediately grabbed me. Every time I read the book I marvel at how the perfect match between small words and small drawings magically combine to broadcast the huge and important message that being different is okay. Queen of Shadows is the fourth and newest book in the Throne of Glass series by Sarah J. Maas, and thank goodness there are six books in this series – something to keep us going till 2017 at least! The writing is simply amazing. The characters don’t stray from their personalities, which makes them very, very real. The heroine is strong and not mopey or weepy. And the plot line is unpredictable and gripping. Also, the new characters introduced in every book are wonderful and do not fall flat. In fact, one of my favorite characters was introduced in book three. The world that Sarah J. Maas creates for us is old-world magic mixed with political drama and dangerous assassins. Seriously, the best fantasy I’ve read this year. While browsing in a bookstore for a gift for a dear friend’s new baby (whose nickname is “Ellie”), the title and adorable cover of Ellie – written and illustrated by Mike Wu – popped out at me. I fell in love with Wu’s watercolors that become more and more vibrant as the sweet storyline progresses. As a read-along the illustrations offer plenty of talking points to explore with little readers, and at a time when art education is losing funding, it’s lovely to show the value of artistic talents. 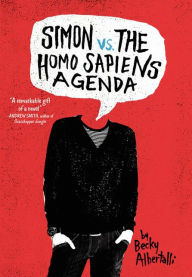 My favorite book this year hands-down is Simon vs. the Homo Sapiens Agenda. It was irrepressibly adorable and so much fun to read. I’m so glad I picked this book up after reading the hugely positive reviews! Remember when David Levithan’s Boy Meets Boy came out and everyone was talking about how this was a fantasy version of how some kids might fall in love in the distant future where being gay is accepted in high school? I think this book is the realistic version of that, now that it’s within the realm of possibility that a kid – in the South even – could come out to an overwhelmingly supportive circle of family and friends and teachers (minus some outliers). The dialogue: so how kids talk. The cute? Off the charts. And beyond all that, this book has a lot to say. I absolutely related to the way Simon was reluctant to tell his family much of anything because they were so involved in his life, they never let anything slide. Everything he did was noted and discussed if it fell outside the box his parents put him in, even though it came from a place of love. The good-natured self-absorption. The quickly blossoming intensity of a crush. I was gripping the book, racing to the end to find out who Simon’s Blue was. I loved every minute of this squee-fest and when I closed the covers, I had a huge smile on my face. I bow down to Victoria Turnbull’s The Sea Tiger. It arrived in our Round Robin order from Candlewick, and what an impression it has made on me. It’s an incredibly evocative picture book that conjures warm thoughts of Peter Pan and The Snowman while feeling wholly original. Ms. Turnbull’s illustrations manage to achieve a rare and remarkable duality of feeling, as though they could have existed in the 1920s, while simultaneously exhibiting a sense of belonging right here in the 21st century. Also, her effortless ability to highlight the selflessness that can emerge from true friendship gets me every time. In short, I have to go hug someone right now. As the director of a YA imprint, I spend a lot of time reading adult material to see what topics and themes and concerns will cross over naturally to the YA market. The most satisfying read of this year for me from that point of view is The Notorious RBG: The Life and Times of Ruth Bader Ginsburg, a fabulous biography by Irin Carmon and Shana Knizhnik. It’s technically an adult book but has such broad appeal and is so satisfying visually that it works for teen readers too. I especially love the way the authors deal with RBG as a whole person, as interested in her fashion sense (how about those lace collars?) as in her brilliant dissents (take a look at the chapter that unpacks her opinions, with colorful marginalia and smart commentary). And it’s a great read-aloud too. We are reading it at my home, taking turns. My favorite children’s book of 2015 was Leo: A Ghost Story by Mac Barnett, illustrated by Christian Robinson. I saw it at BEA this year and absolutely loved it – so much so that I hung the free poster up in my apartment. I loved how it told a story of love and loss through a whimsical and childlike lens. It also broke the fourth wall and referenced the reader, which is becoming more popular recently, though I think Leo does it best. The illustrations were amazing and the story really stuck with me. Definitely my favorite!